Empath Series: Empath guidebook or anyone want a free e-book? Over the years, I considered writing a book for the Empath. Initially it was going to be Empathy 101, but when I finally looked around some years later, I found that many had already done that. 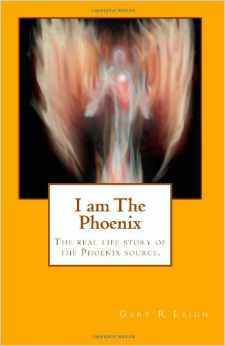 So, I decided it would probably be a better idea to write a book that was for the beginning and the advanced Empath alike. One that went into greater details and one that gave techniques to turn the curse into a blessing. And above all, one that could be accessible to everyone. Sadly, I’m not given to writing simply and clearly. My words are said to be too ‘fancy’ and I deal with concepts that are every day for me, but completely new for others. For this, I can only apologize, but it is my style, and I really haven’t worked out a way to resolve it. So, a couple of years ago, I began work on the Empath Guidebook. So called because it was both a guide book, and I channelled my guide to help write it. As it goes, it works for me, and I can get a lot more written when I use that technique. Does it work as a useful book? I’ve not had enough feedback to know one way or the other. Feedback is something people rarely give. However, for those who actually read this blog, and want more information on Empaths, this book might well be worth your while. I have toyed with the idea of using extracts, from time to time, on this blog, but I’ve found there’s still a lot of subject matter to cover, so I’ll just post a link to the actual document. It is also my desire to discuss that wonderful article by ‘Just Be’ called 30 traits of an Empath with my guide. I have asked permission from the author and been granted it. I plan to expand the book from time to time, as new ideas and information comes up. If you decide to read it, and find it useful, please pass it onto someone who you feel can benefit from it. The Empath Guidebook – download page. ← Did you get my e-mail or why didn’t you write? Welcome. 🙂 Glad I could help. This is a very useful book with so many practical aspects – almost works like a quick-reference, personal manual. Including the BFRs made it easy to see which ones I needed to add or remove [Hornbeam, Cerato, Mustard, Sweet Chestnut & Wild Rose now added]. –	Size of personal space in relation to soul expansion and how this works in city/countryside. –	Healing others: when to, when not to, etc. –	Last but the very best: Bach Flower Remedies [can’t say enough about how much they’ve helped]. Thank you so much for your comments. Even though this book has been downloaded about 3000+ times, I rarely get any feedback. I’m glad you found it so useful. If you feel others can benefit, please pass it onto them. Forgot to add my LOL moment (I almost fell off my chair laughing) was reading about how you may as well switch on the kitchen light to receive the same benefit as surrounding yourself w/ white light!!! 😀 Well said. When the message is given with humour, it really gets across! Hi, I just read your article on traits of an empath, I recognized myself and point blank saw myself in a different light, now my attitude makes sense, I absolutely must have truth and will not stand for anything less, thanks so much for this information. I can’t stand to see suffering, I can’t stand to be around egotistical arrogant ppl, I’ve had dreams where animals have talked to me, even insects lol, my favorite is of a bubble bee that was taking a stroll through a beautiful path and he buzzed by and my companion shrank back terrified and bee looked at me and said tell her I like to take walks too, I was elated that he talked to me. It’s a rare gift to be able to hear the voices of nature and a blessing. downloading your book was the best thing I could ever do for myself as an empath. its impossible to take in all the information you offer all at once so I find the book works best for me if I focus on a certain topic or question and work from there. i personally dont find your writing style too “big” I think once one gets used to the terms, concepts and realities of being an empath the words automaticallly become “smaller” and falls in place. hope this helps a little bit for feedback. Thanks you, and yes, it does. Though maybe I should include a glossary to help things along. what do you think? Thank you. That would be greatly appreciated. I’m almost done with the book, about 40 pages left, and I think it is written clearly (I did not find your style too fancy) and would be helpful to many Empaths, those just figuring out who/what they are and for those fully aware of their empathic and psychic abilities. 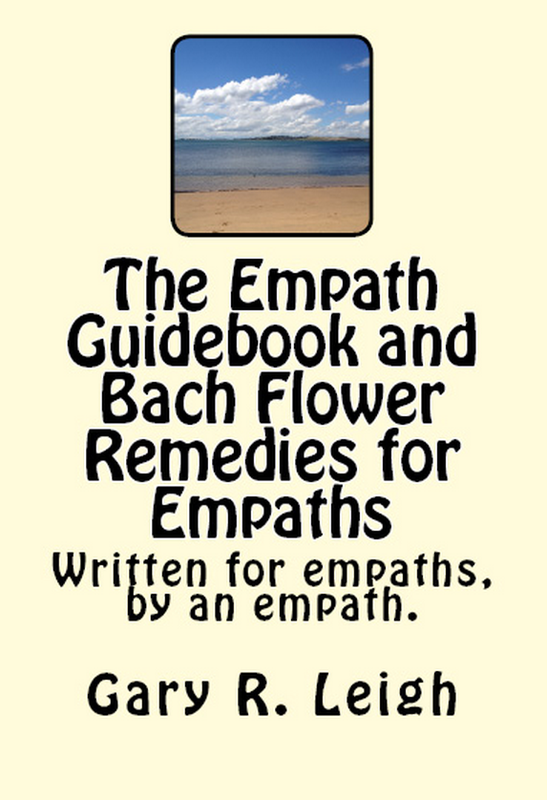 I have known of the Bach Flower Remedies, but have never used them. Reading this section is very fascinating, and I find myself chuckling as I have at various times in my life experienced some of each of the types. But I am sure most Empaths experience most emotional and mental states (either their own or picking up from others) at some time or another. 1) Are the Elementals mentioned similar to or connected to the elementals of Paracelsus? 2) Concerning one soul in the multiple bodies at the same time…Are these in different dimensions or realities, like parallel Universes? 3) The “buzzing” in the ear being a spirit trying to communicate…Can this sound like a bug buzzing around the ear? On and off over the past maybe year this has been happening to me in my sleep. I wake with a frantic brushing away (I don’t want a bug going into my ear), but have recently wondered if it was a spirit trying to talk to me at night. On the technical side (this is my linguist side talking now), there are quite a few typos and minor misspellings, such as “of” instead of “off”, so having someone copyedit it for you would make the reading smoother. Ok, I hope this was helpful and feel free to ask anything. Thanks for your comments. All very appreciated and valuable. 1) Elementals was a term used by Dr. Stylianos Atteshlis (also know as Daskalos) to describe what a thought form was. Basically, these are energy that are created with our thoughts, intention and mind. Elemental can also refer to embodied energies, too. 3) Yes, it can. It’s very possible that something is trying to attract your attention. Thanks for the quick answers! Funny, I knew you’d say your guide was a he, but I still felt compelled to write she. I kept debating that while I was reading the book. Can guides morph or be somewhat Shiva-shakti-like depending on who is perceiving them? The only guides I am aware of or communicate with (that I know of) are animal spirits, so talking to humanoid guides and channelling is a bit foreign to me. It’s an interesting question, really. I really don’t know if my guide is actually human, or has just taken human from. It’s one of those questions I tend to skirt my mind around. Any help with editing is always greatly appreciated. If you really don’t mind, then I’d welcome it. I can send you the word version so you could just update as you go alone if you like. Let me know.